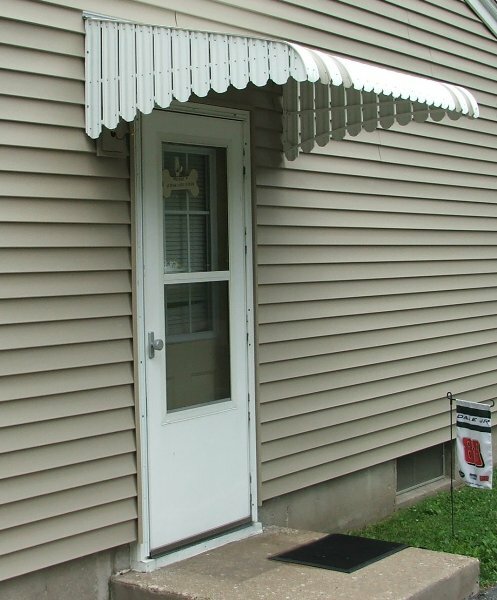 Fairlite door hoods are great for covering a door, they are ventilated on the sides with closed top design. 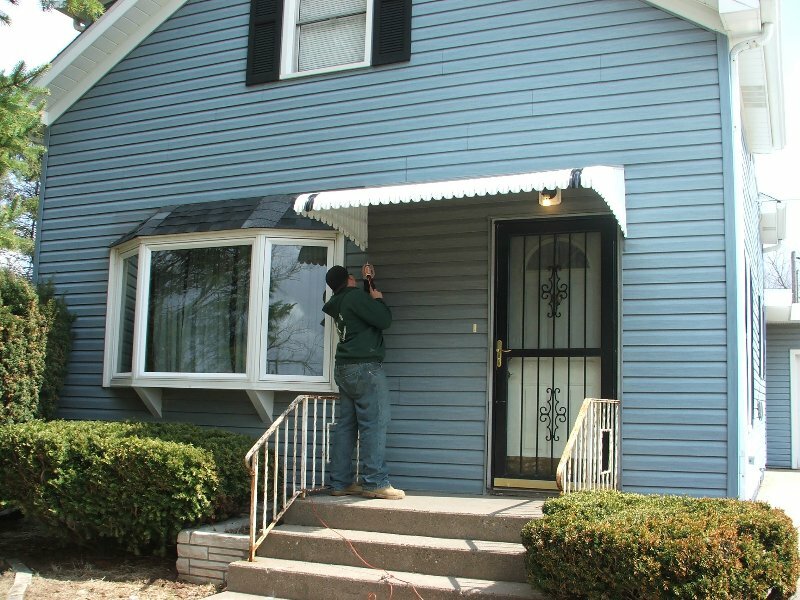 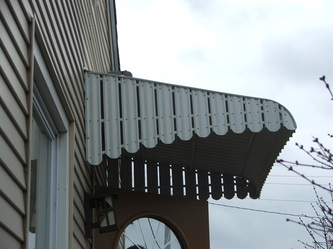 When measuring for a doorhood awning, you need to know the width of the awning--how wide you want the awning to cover, if you have a light beside the door, do you want the light under the awning or outside of the light. 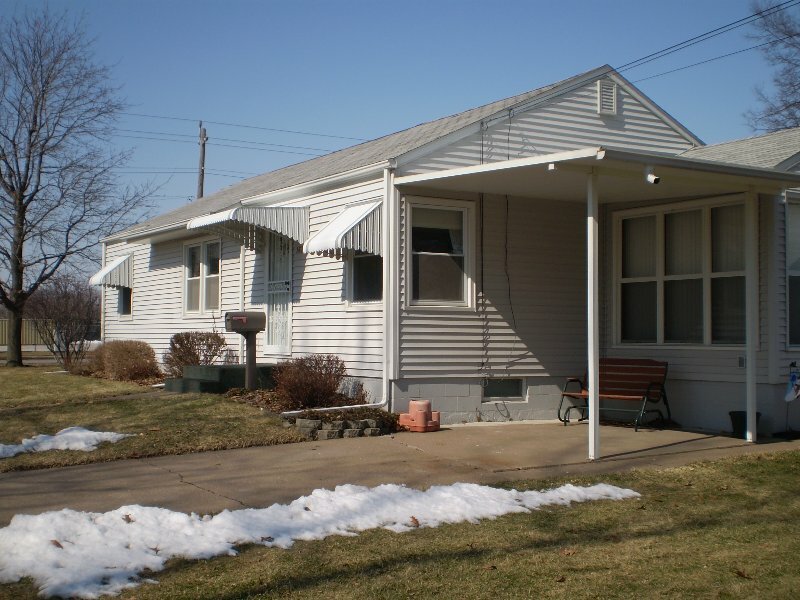 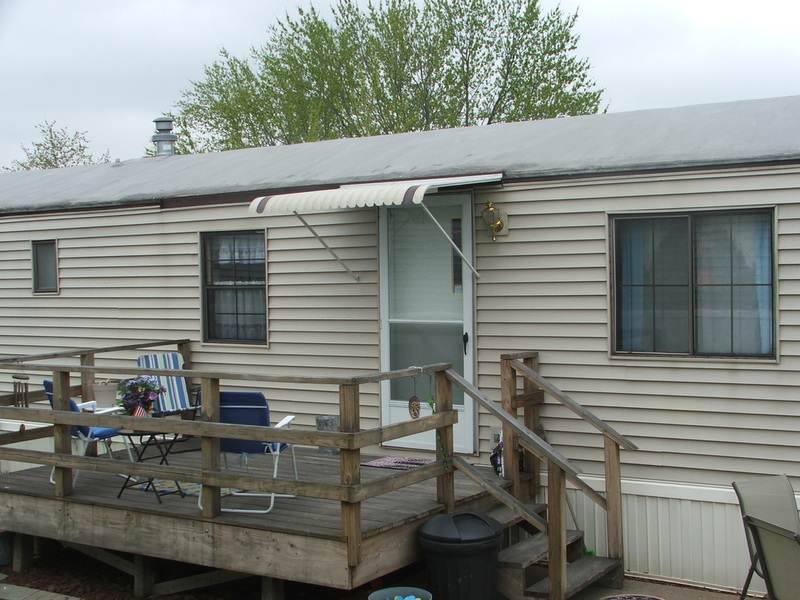 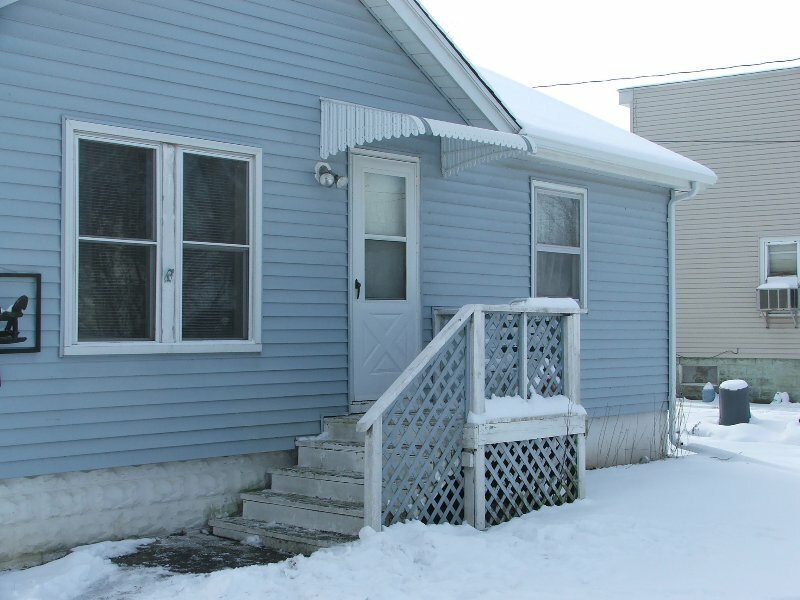 Its important to know how much room above the door, this helps to know what style of awning will fit, with more clearance above the awning, the awning can hang higher with a larger point drop. 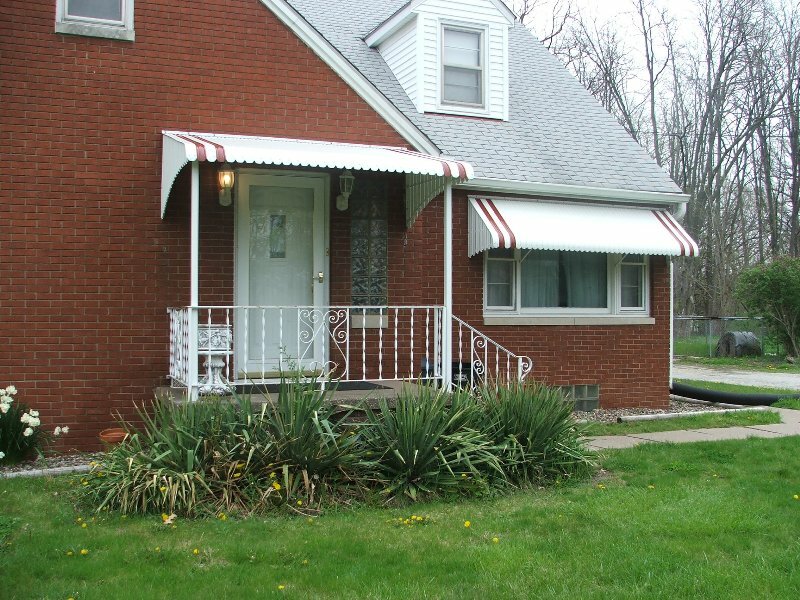 FL awnings are the most popular style of awning, they only need 6" clearance above the door and has the right drop to ensure rain runoff. 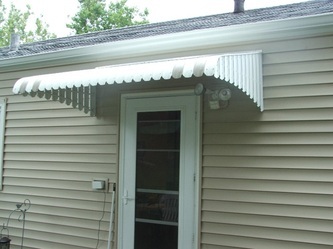 You will also need to know the projection of the awning, do you want the awning to cover the stoop or just enough to clear the door when it opened. When you open the door you want to be sure your door is fully covered by the awning so the rain does not fall on the inside of the door. 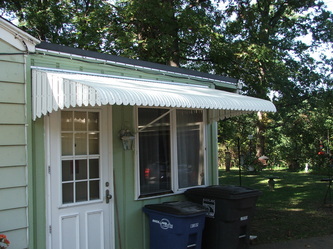 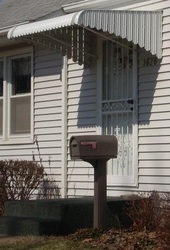 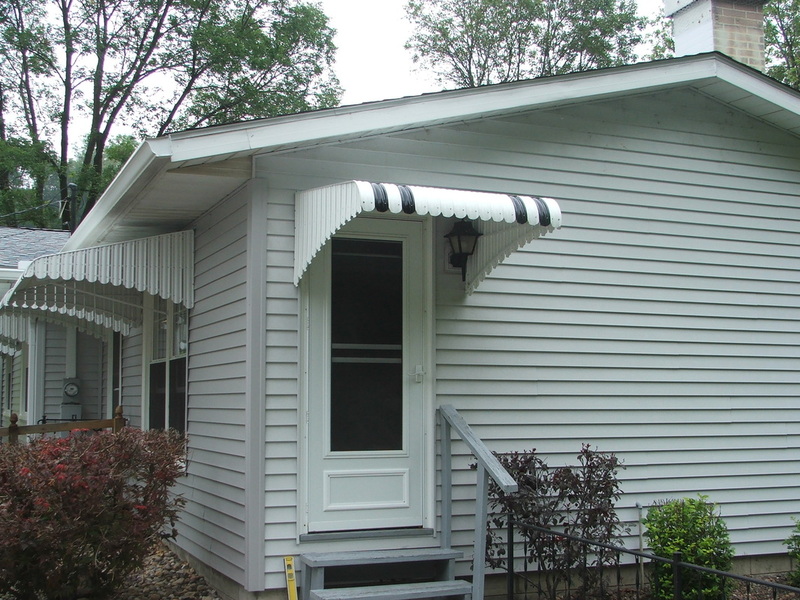 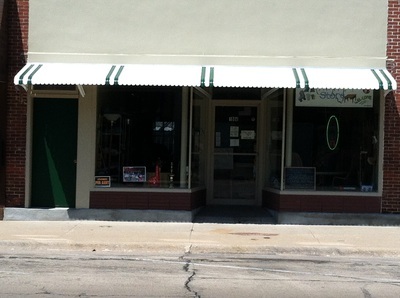 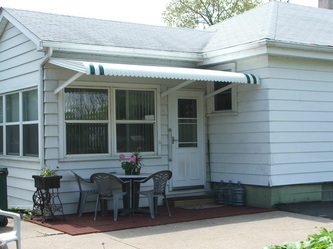 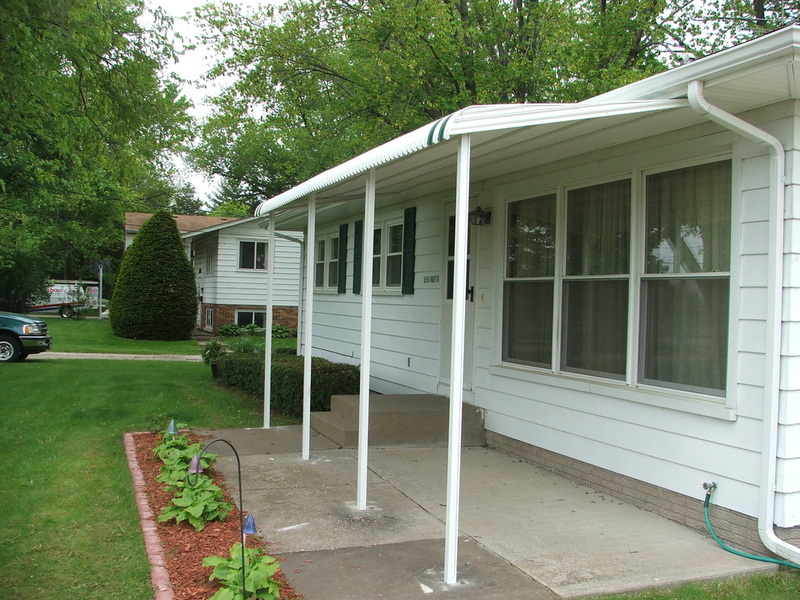 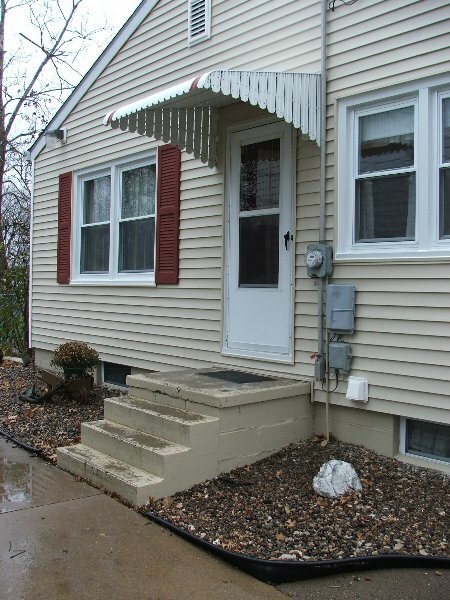 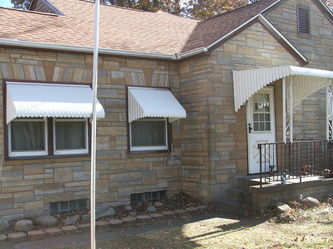 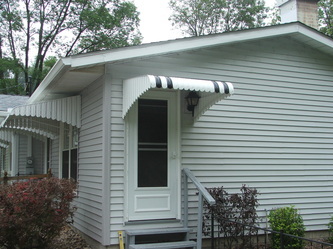 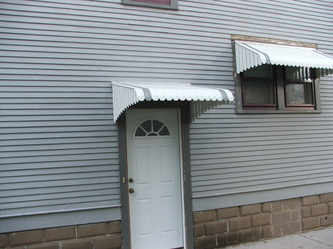 The FC style awning needs 12 inches above the door and the point drop is lower. 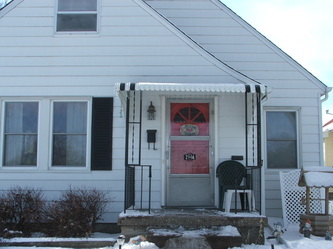 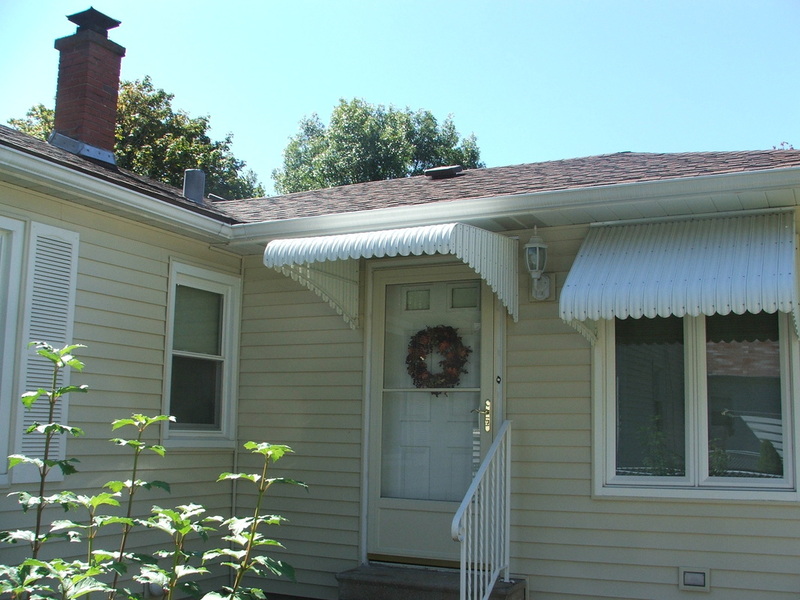 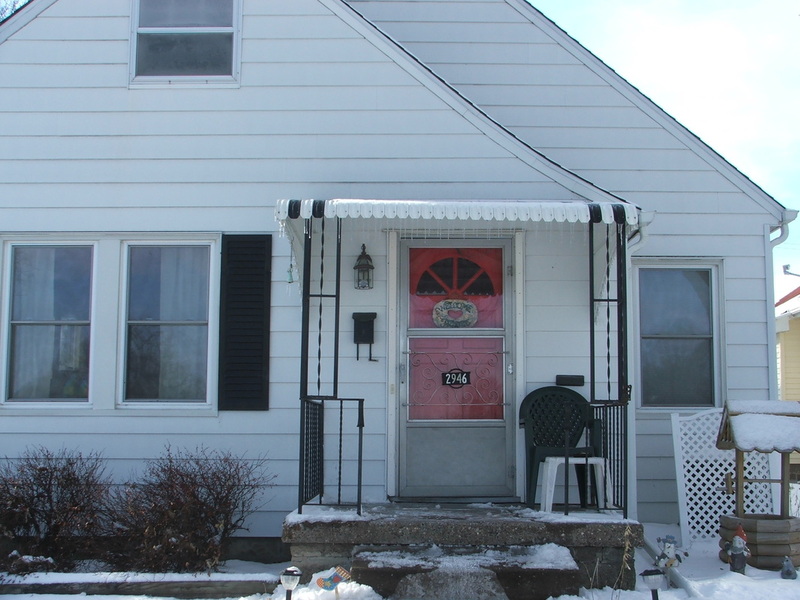 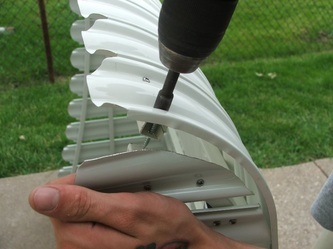 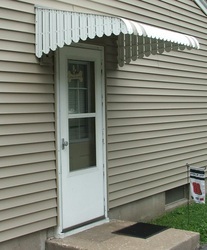 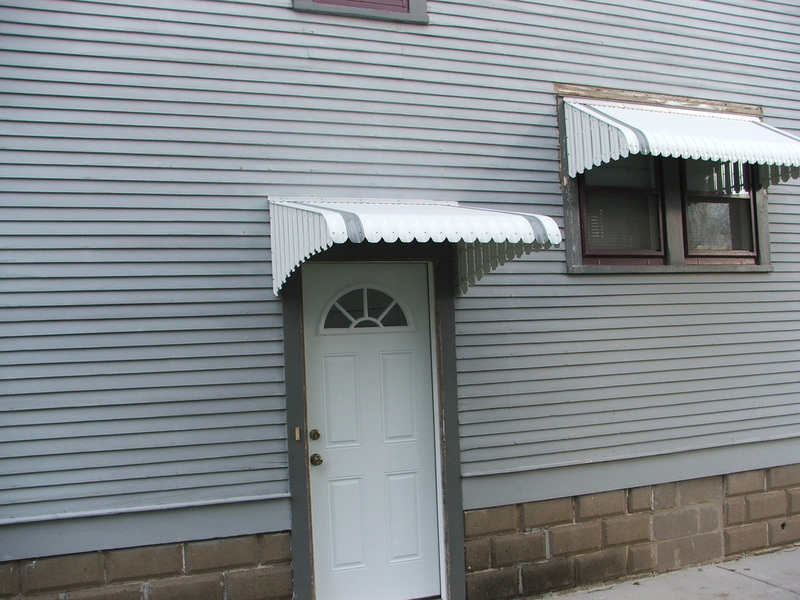 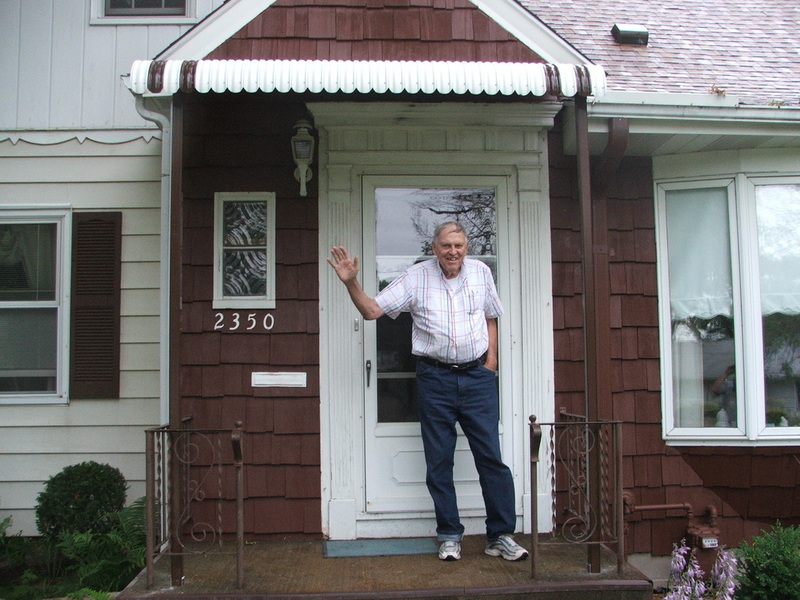 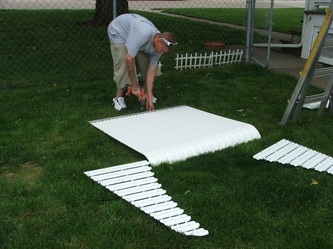 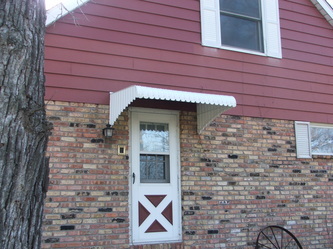 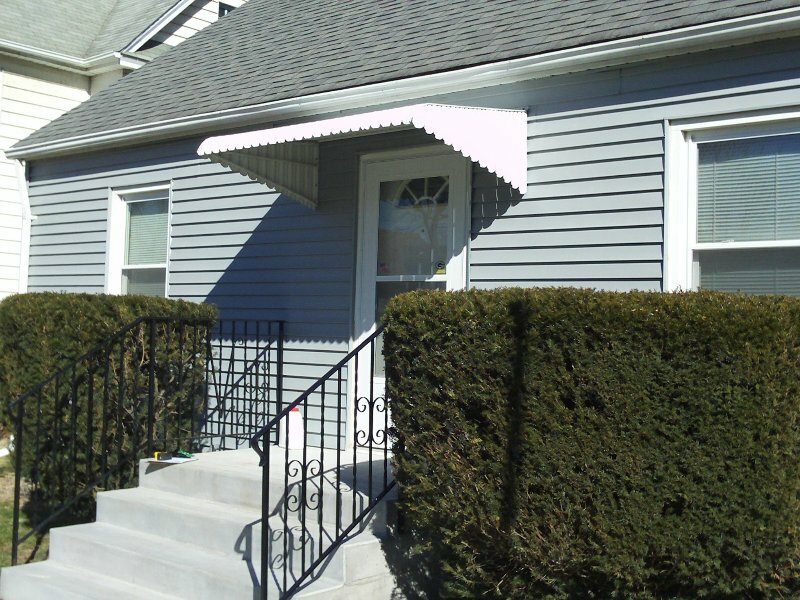 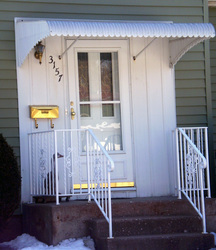 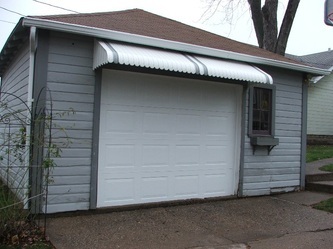 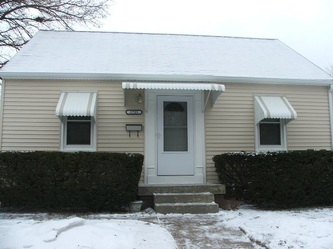 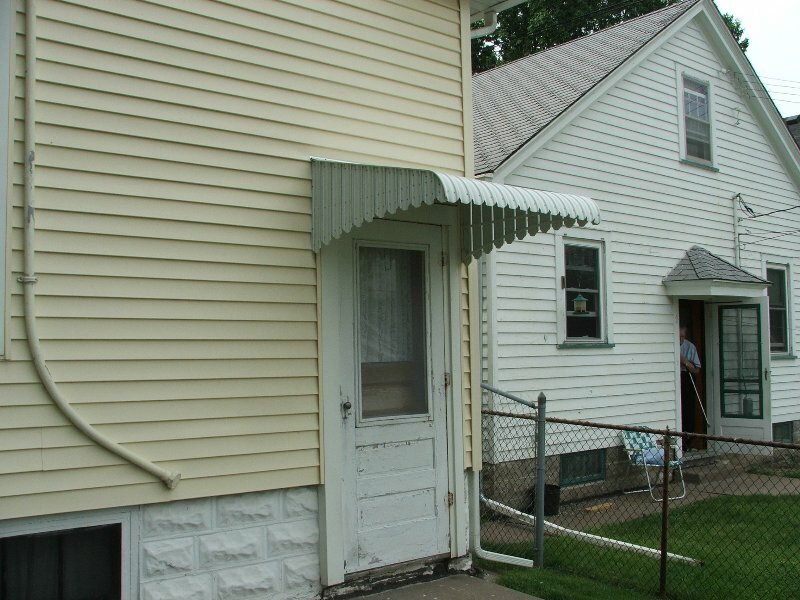 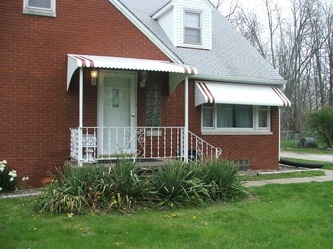 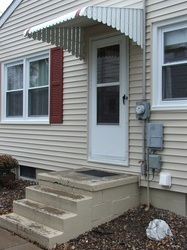 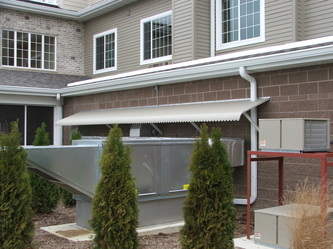 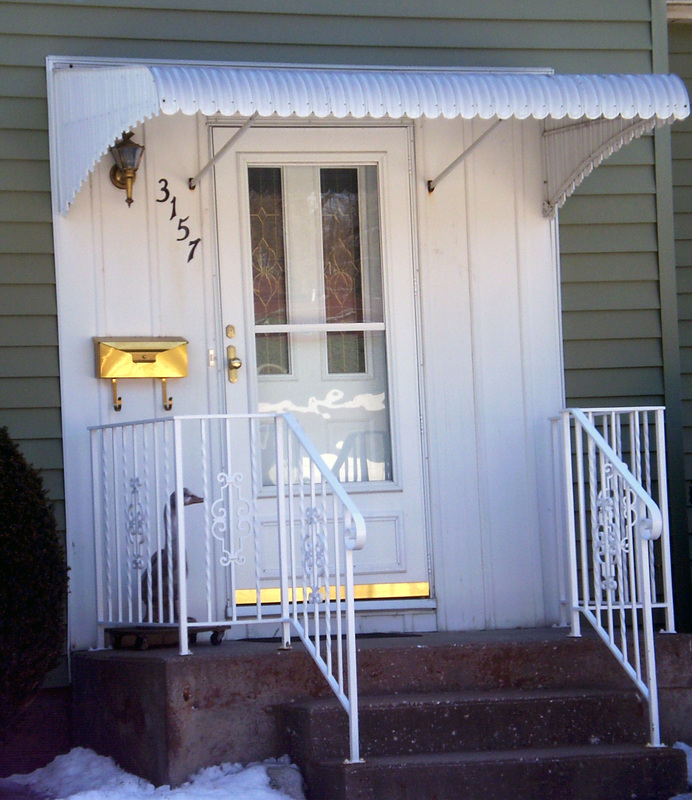 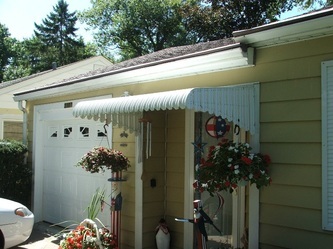 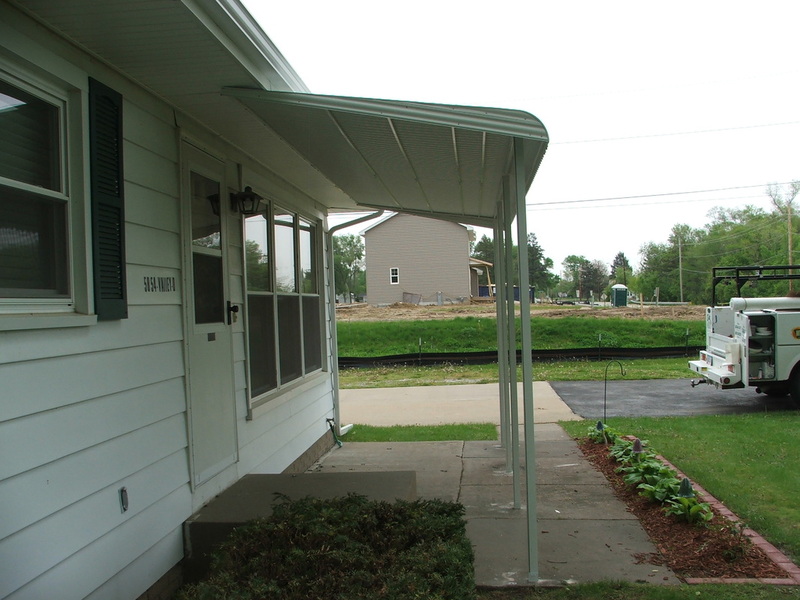 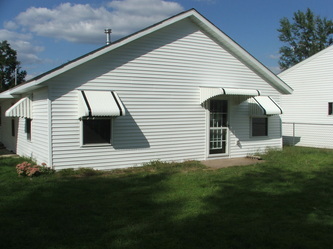 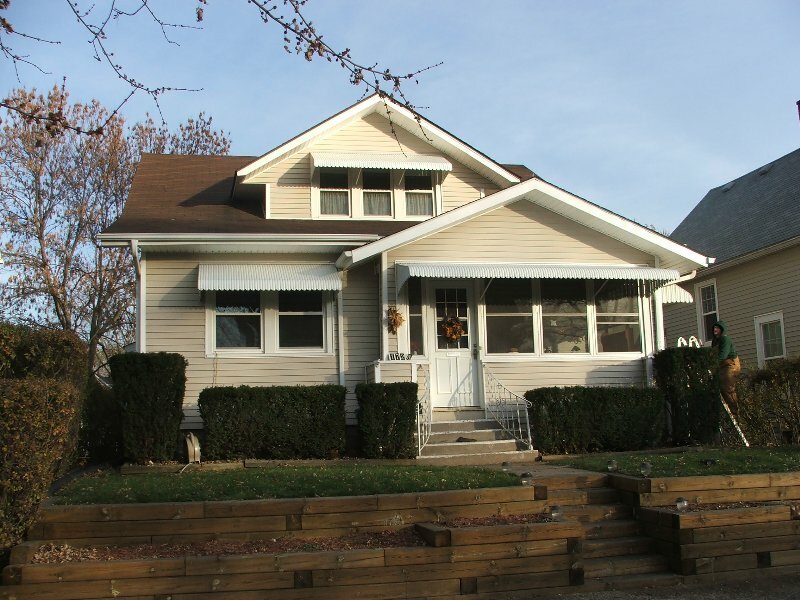 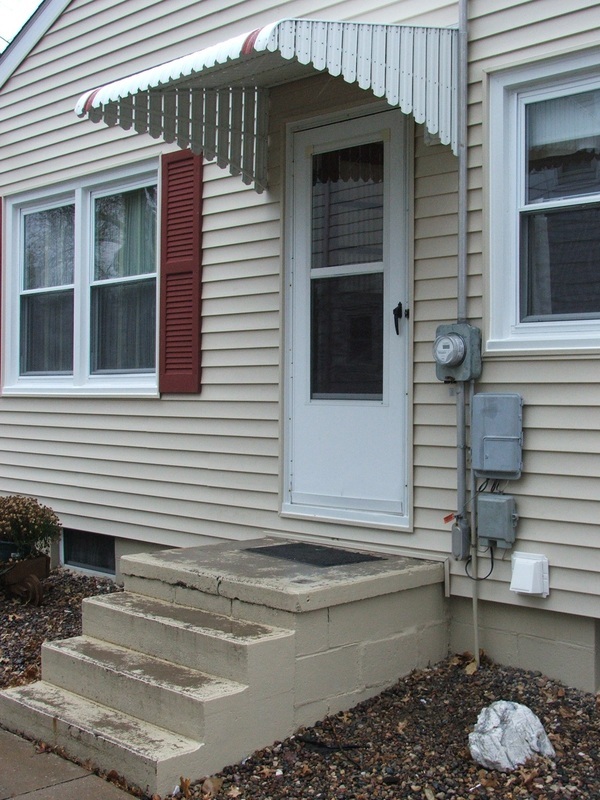 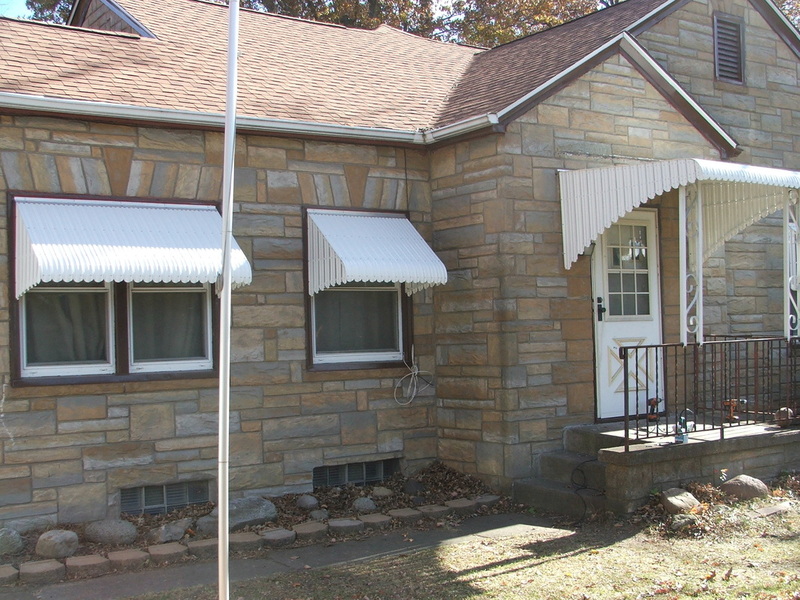 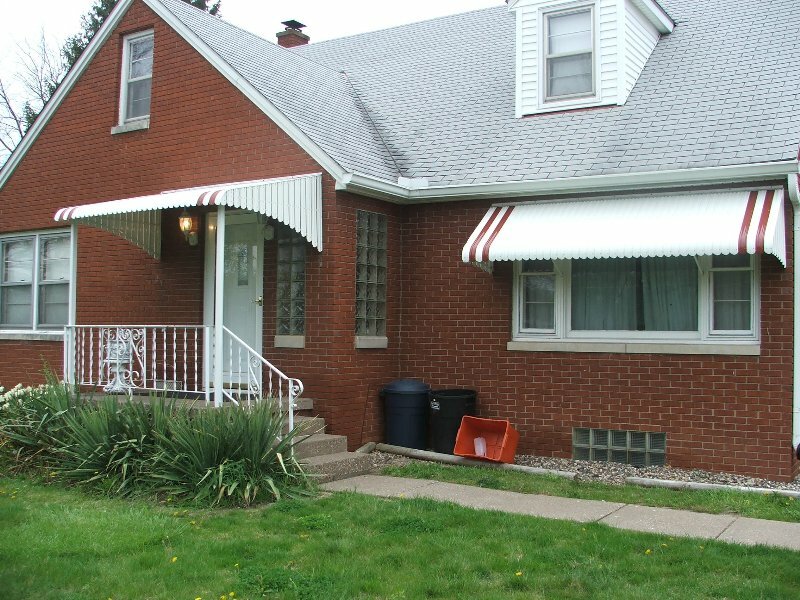 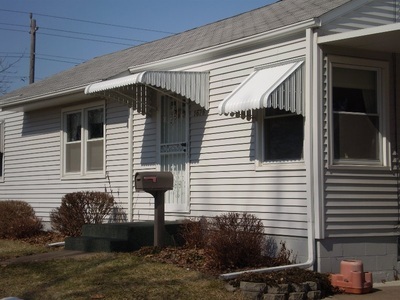 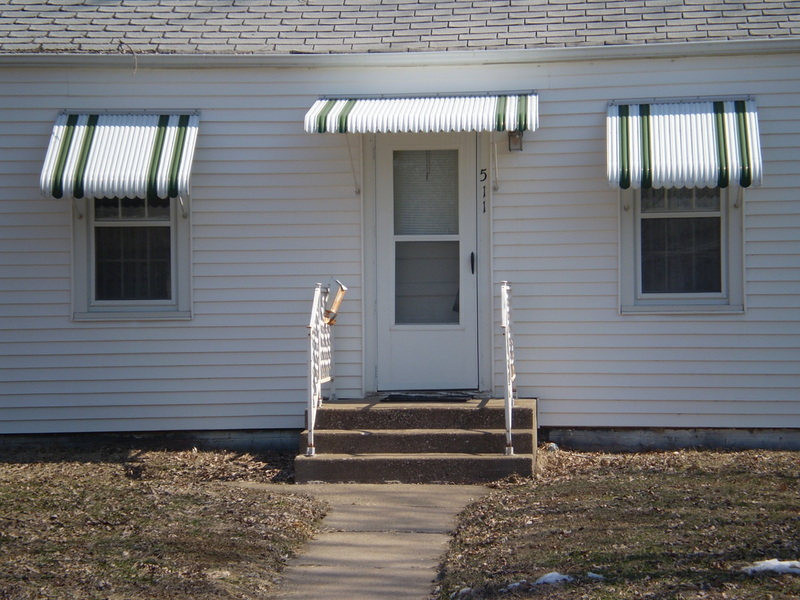 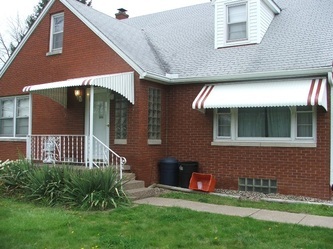 Door hood awnings come with 2 braces and depending on the projection may need posts. 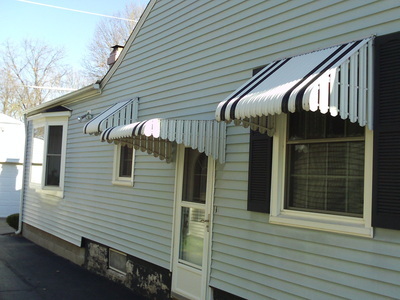 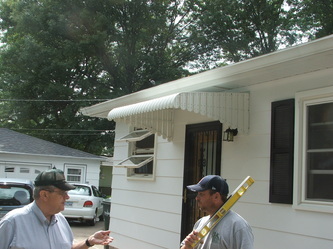 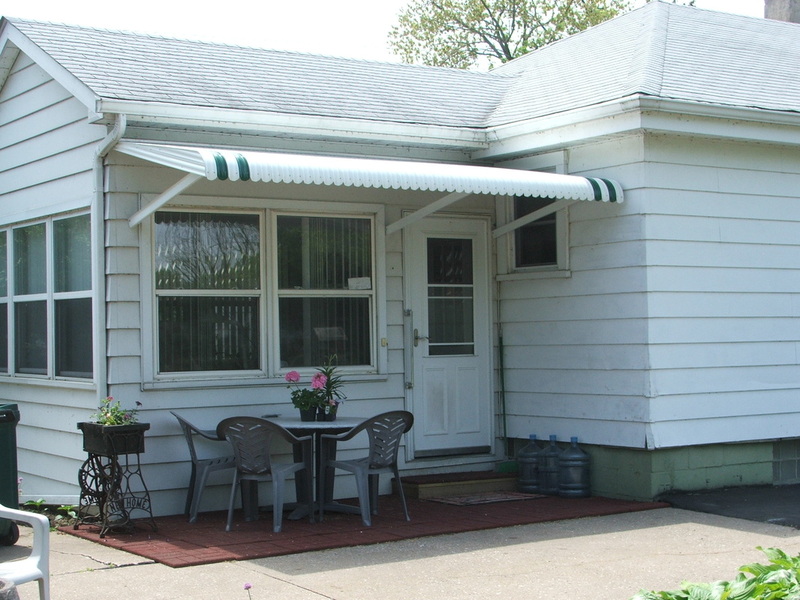 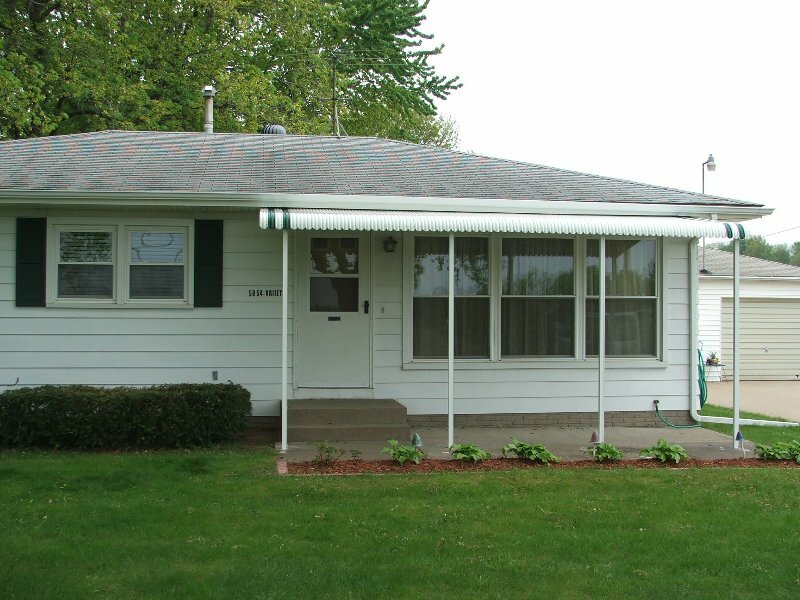 Call the professionals at Weather Whipper awnings for your perfect solution.